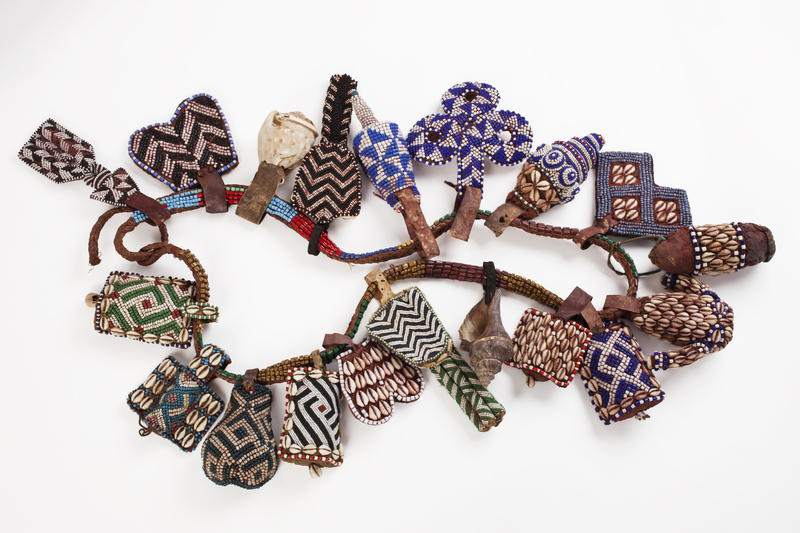 The textiles of the Kuba kingdom are among the most distinctive and spectacular works of African art. Emerging in the early seventeenth century, the Kuba kingdom grew into a powerful and wealthy confederation of eighteen different ethnic groups located in what is now the Democratic Republic of Congo. 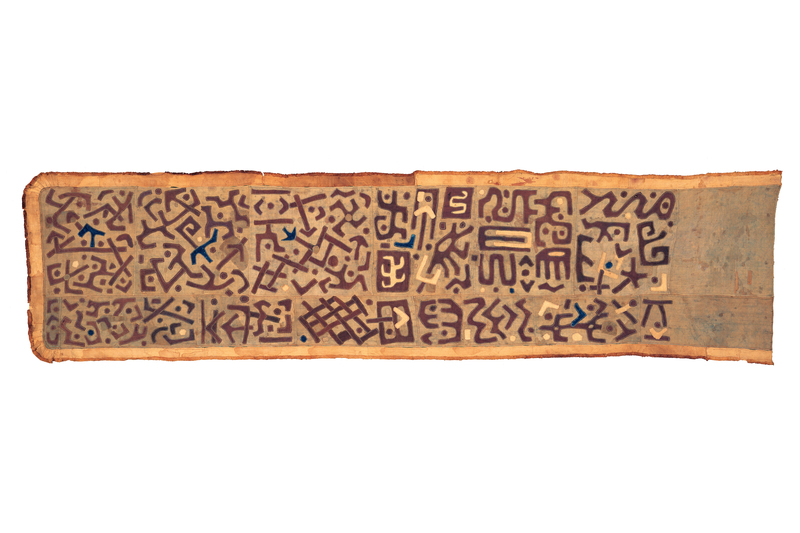 While they have fascinated artists, collectors, and designers for over a century, this was the first major museum exhibition in the U.S. to showcase the artistic inventiveness and graphic power of Kuba ceremonial dance skirts within a wide-ranging survey of Kuba design. More than 140 exceptional nineteenth- and early twentieth-century objects were featured, including ceremonial skirts, ‘velvet’ tribute cloths, headdresses, and basketry from the permanent collections of The Textile Museum, the National Museum of African Art, and several private collections. The exhibition was accompanied by a fully-illustrated color catalog. 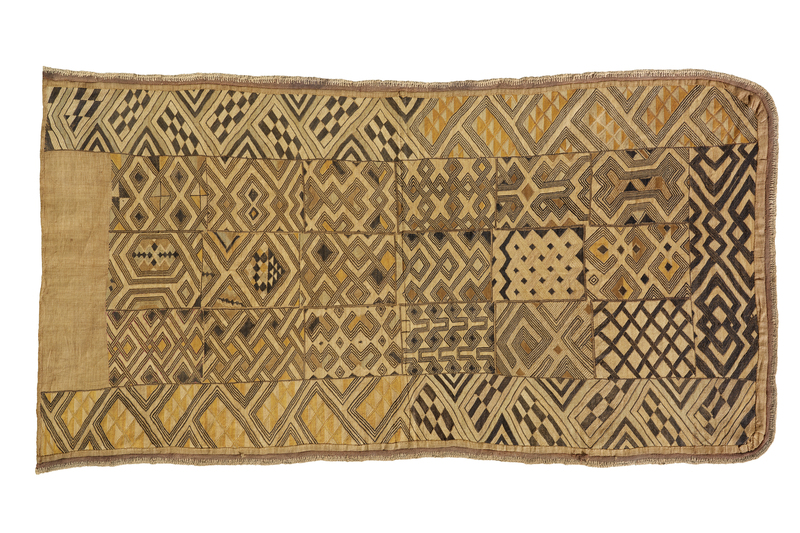 Man's status cloth, Shoowa people, D.R. Congo, early 20th century. Raffia palm fiber, 24 x 24 in. Private collection. 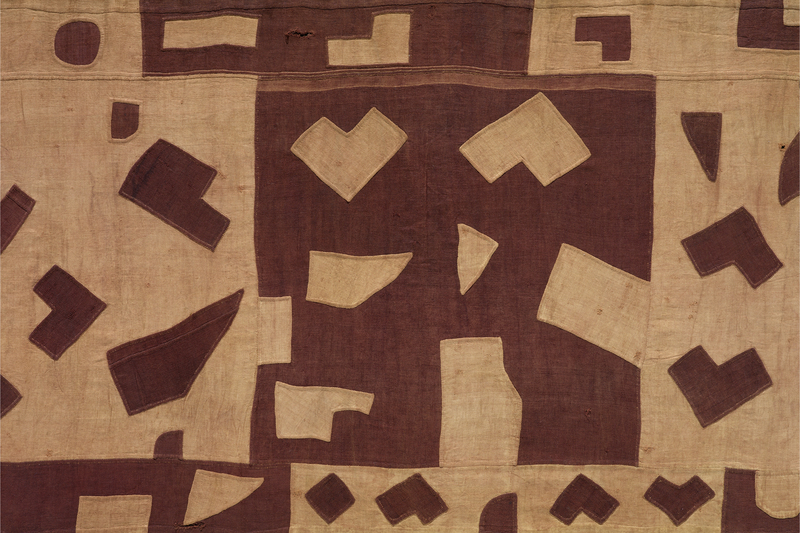 Man's status cloth, Shoowa people, D.R. Congo, early 20th century. 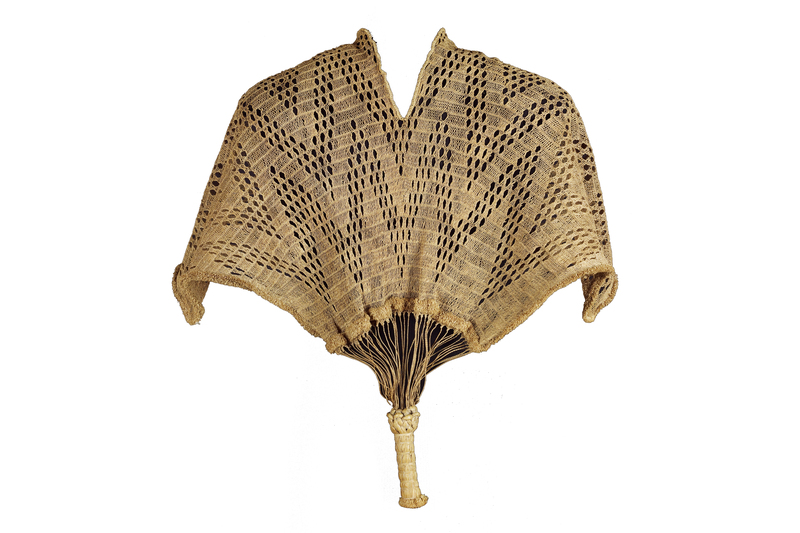 Raffia palm fiber, 23 x 21 in. Private collection. 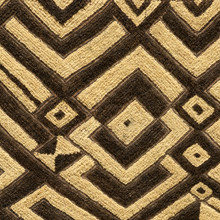 Man's ceremonial skirt (detail), Kuba people, D.R. Congo, 20th century. Collection of Matthew Polk and Amy Gould. Noblewoman's ceremonial overskirt (ntshakabwiin), Bushong people, D.R. Congo, early 20th century. 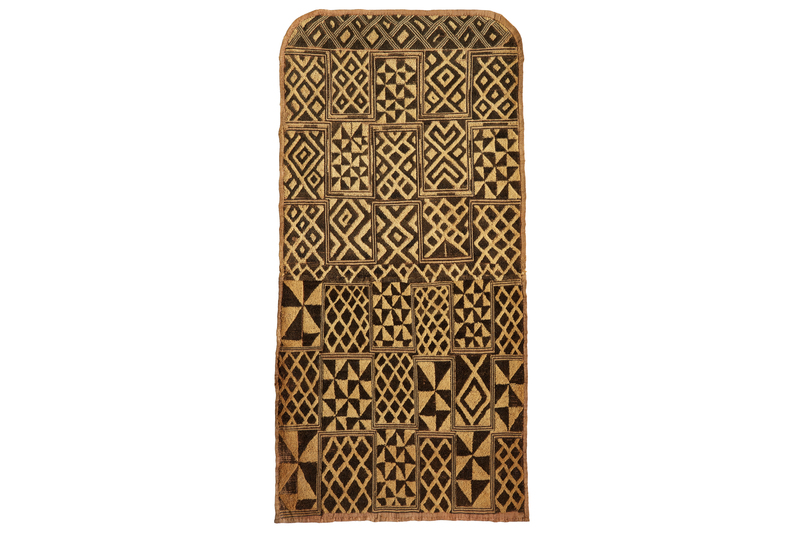 Raffia palm fiber, 21 x 51 in. Collection of Matthew Polk and Amy Gould. 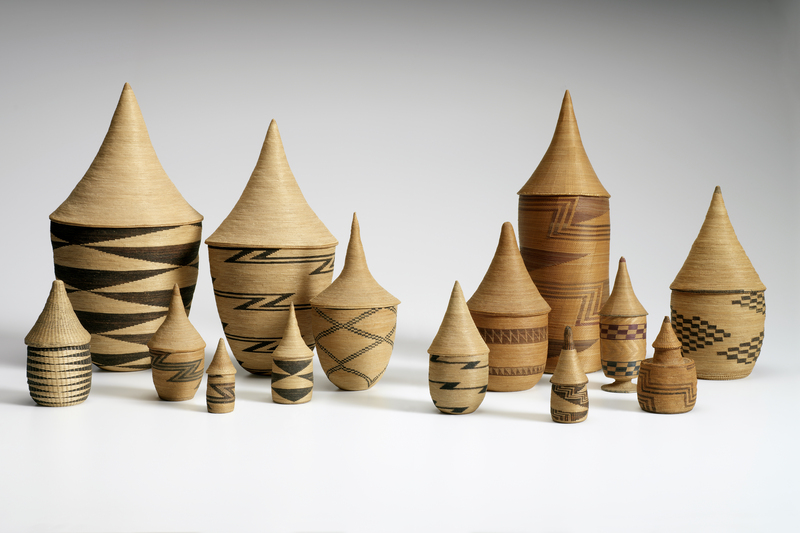 Prestige and presentation baskets (igiseke and agaseke), Tutsi people, Burundi, 20th century. Plant fibers, 3 in. to 14 in. (height). Private collection. Noblewoman's ceremonial overskirt (ntshakabwiin), Bushong people, D.R. Congo, 20th century. Raffia palm fiber, 23 x 74 in. Collection of Matthew Polk and Amy Gould. 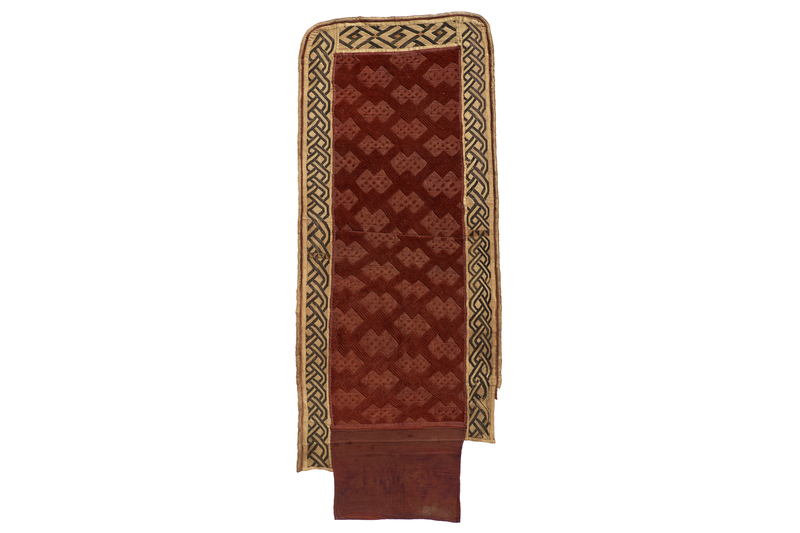 Nobleman's ceremonial overskirt, Shoowa people, D.R. Congo, early 20th century. Raffia palm fiber, 23 x 47 in. Collection of Matthew Polk and Amy Gould. Noblewoman's ceremonial overskirt, Mbeengi people, D.R. Congo, late 19th or early 20th century. Raffia palm fiber, 44 x 23 in. Collection of Mr. and Mrs. Taylor A. Dale. 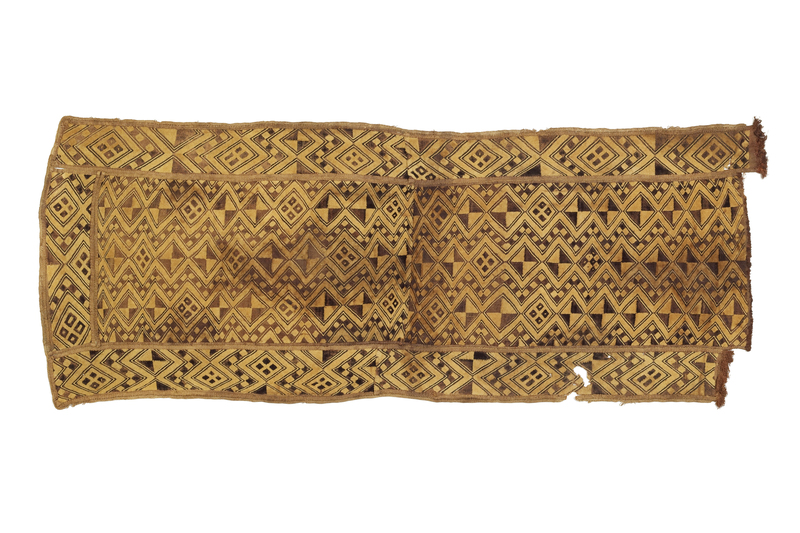 Royal girdle with symbolic insignia (yet), Bushong people, D.R. Congo, 20th century. Raffia palm fiber, hardened Pterocarpus redwood paste, glass beads, shells, cowries, 63 in. (length). Collection of Matthew Polk and Amy Gould. 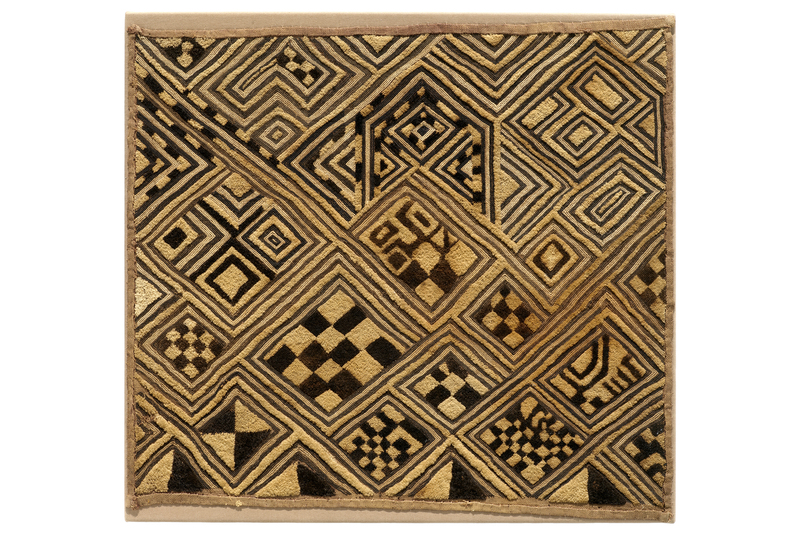 Noblewoman's skirt, Kuba people, D.R. Congo, early 20th century. Raffia palm fiber, cotton trade cloth, 168 x 36 in. Collection of Matthew Polk and Amy Gould. 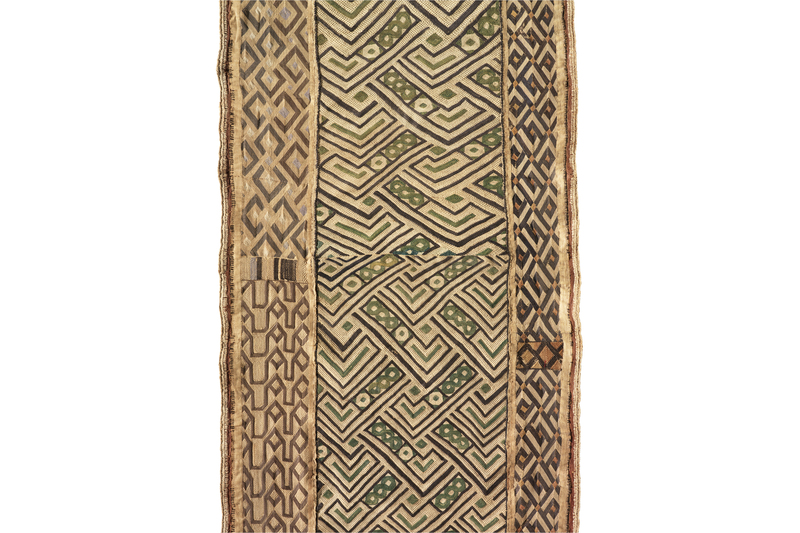 Chief’s tunic or cape (kinzembe or zamba kya mfumu), D.R. Congo or Angola, Kongo-related peoples, possibly 19th century. 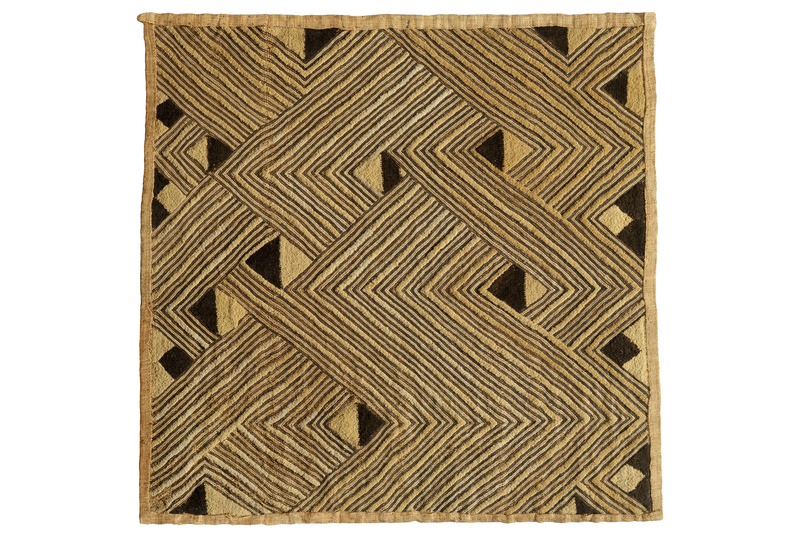 Raffia palm fiber, 65 x 91 cm. The Textile Museum 1962.1.14. Textile Museum acquisition. Photo by Renee Comet.